Recall Roundup: Dangerous Baby Equipment - McIntyre Law P.C. If you’re anything like the attorneys at McIntyre Law, P.C., we can probably agree that the most important thing in our lives is the health and safety of our families. That’s why it’s scary to see commonplace baby items being recalled in the news; we spend lots of effort and money trying to keep our families safe, but sometimes it’s the product that’s the problem. At McIntyre Law, it’s our goal to protect you from dangerous products, and to make sure that you are compensated if you or a loved one is harmed. 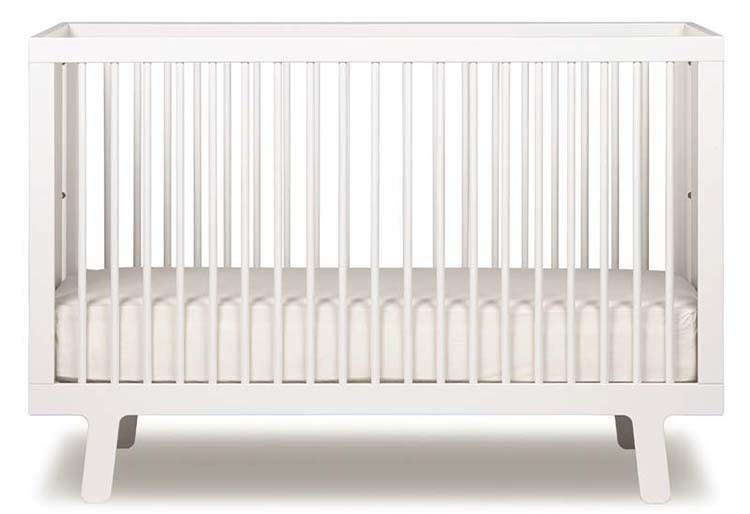 Four models of Sparrow cribs made by Oeuf, LLC of Brooklyn, New York, manufactured between July 2007 and January 2014, were recalled because of reports that the slats/spindles and top rail could detach from the crib. Although no injuries have been reported, consumers should stop using the cribs and contact the manufacturer at (844) 653-8527 for a repair kit. For specific model numbers and additional information, please visit the company’s website. About 2,800 Dinah high chairs, manufactured by Dream on Me and sold exclusively at Walmart and Amazon have been recalled. These high chairs were sold from November 2012 to November 2013. According to the recall notice, the leg opening on the chair could allow the child to fall through and become entrapped at the neck, which would pose a strangulation and fall risk. If you have a Dinah high chair, stop using it immediately and call Dream On Me’s customer service line at (877) 201-4317 or visit the company’s website. The Tommee Tippee Monitor with Movement Sensor Pad has been recalled because of the possibility that a child could pull the sensor pad cord into the crib and wrap it around his or her neck, which would pose a strangulation hazard. These products have been sold since September 2011 in Toys ‘R Us, Babies ‘R Us and on Amazon. The manufacturer is Mayborn USA Inc. If you have a Tommee Tippee Monitor with Movement Sensor, contact Mayborn USA at (855) 214-1537. In the meantime, be sure that monitor cords are out of your child’s reach. Thankfully, there have not yet been reports of injuries from these products, but you can never be too careful. Cribs are one of the only baby items that are designed for parents to be able to leave their children alone in for extended periods of time without supervision, so we need to be able to trust that they are being manufactured properly. As well, baby monitors are supposed to be there to let us know if there’s a problem, not to cause the problem. The best thing you can do for your child is to use common sense and evaluate your baby’s surroundings; think about what baby can reach, pull on or climb. If your child has been injured by a dangerous baby product, let us know. We will help you get the compensation you and your child deserve.